RHR: Will I Have to Follow This Diet Forever? For those suffering from autoimmune diseases like Crohn’s disease, celiac disease, or other serious chronic illnesses, an elimination diet can be a powerful healing tool. But these diets can be really limiting and make eating with friends or going out to dinner extremely challenging. Today I’ll discuss diet restrictions and how often it is possible to reintroduce favorite foods after a period of time. 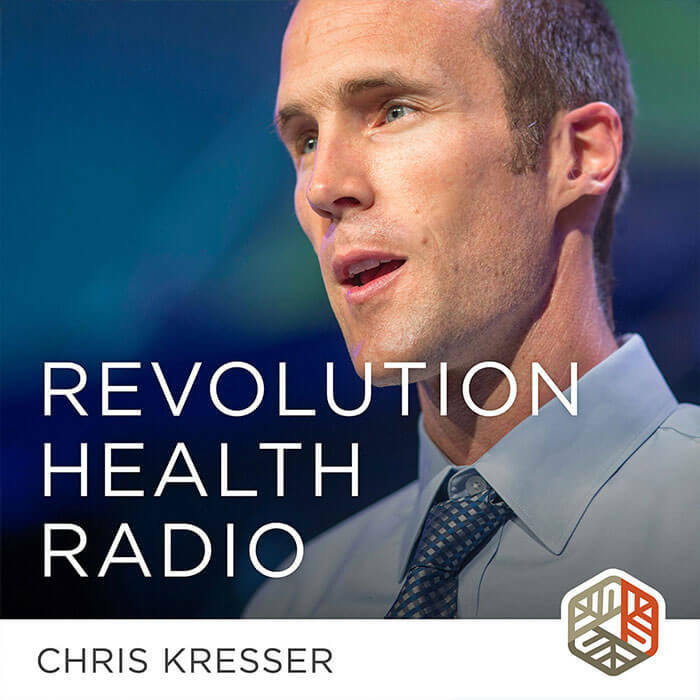 Chris Kresser: Hey, everybody welcome to another episode of Revolution Health Radio. This week, we have a question from Mikaela, so let’s give it a listen. Mikaela: Hi, Chris. This is Mikaela. I have a question for you about the autoimmune protocol. Well, and actually, really, in the elimination diet. I have been following the autoimmune protocol for Crohn’s disease to control my symptoms since 2012. And I have had success, but I’m not 100 percent better. And I’ve had very limited success in reintroducing foods. So my question is, when you’re following an elimination diet, if you are unable to reintroduce foods, does that mean that you’re not healing? Or do you think that some foods are just off the table for good? I’d love to be able to sit down and have some salsa or maybe scrambled eggs. And I’m wondering if that’s just something I’m going to have to live without. Thanks for an awesome podcast and looking forward to hearing your response. Now of course, if you’re removing things like Twinkies, Cheez Doodles and Super Big Gulps, unfortunately, you’re never going to (at least that’s as far as we know) acquire any magical properties that will enable you to better tolerate those foods because they’re just nutrient poor and calorie-dense, and we have really no business eating them in the first place. But certainly there are other foods that are healthy otherwise, and they’re well tolerated that are removed from things like the autoimmune Paleo protocol—nightshades, eggs, nuts, and even full-fat or fermented dairy. I would argue they’re perfectly healthy. A lot of research supports their benefits but may not work for some people because of certain conditions. I am generally a believer that our diet should be as broad and diverse within that Paleo template—or “Paleo-plus” kind of template that might include some full-fat and fermented dairy and even properly prepared legumes and some grains or pseudo-grains if they’re tolerated in moderation—because the broader and more diverse we can make our diets, the greater the nutrient density and the wider variety of nutrients it will get. I’m always by default an advocate for eating the broadest diet that we can tolerate, but there are obviously conditions in which we may have to restrict our diet, in some cases pretty significantly, at least to begin with, while we’re in the healing process. As is often the case with these types of questions, the answer is, “it depends.” I don’t think there really is a single answer to Mikaela’s question, but I can share my experience working with thousands of patients at this point. And what I would say is that diet is an absolutely crucial factor and sometimes the most significant factor in the healing process, but it’s certainly not a panacea. Sometimes dietary changes will be enough on their own to get somebody back to where they want to be, but often additional steps are necessary above and beyond diet. Since Mikaela’s talking about Crohn’s disease, that’s an inflammatory bowel disease, which is autoimmune in nature, let’s discuss an overall functional approach to autoimmunity as it relates to Mikaela’s question. For me at least, this consists roughly of two steps. Step one would be removing triggers that provoke or exacerbate a dysregulated immune response, and then step two would be taking specific actions to regulate the immune system if removing the triggers wasn’t sufficient to bring it back into line. The AIP falls into the first category of removing triggers, and more specifically it would fall into the category of removing dietary triggers. If for a particular patient the primary trigger for them was dietary in origin, things that they were eating that were provoking an inflammatory response and really wreaking havoc on the immune system, then removing that trigger for that person could settle their inflammation and lead to long-lasting healing. That healing could itself lead to being able to tolerate that same dietary trigger, those same dietary triggers that originally caused the problem. If you think of it like—let’s think of an analogy here. If you have an injury, for example, or let’s say you were playing soccer and you got injured. While you’re injured, playing soccer is probably going to be painful and difficult and possibly even make the injury worse, but there’s no reason that once you heal the injury, you can’t go back to playing soccer. That’s kind of a similar idea here. If food triggers originally provoked a response, in some cases but not all—I’ll come back to that—removing the trigger may allow the body to heal sufficiently such that you can actually even return to eating that food trigger that initially caused the problem without any difficulty. However, there are a lot of exceptions and caveats to what I just said. Probably the biggest one is gluten. In many cases, no matter how much healing happens, a patient who is significantly gluten intolerant will never recover the ability to eat gluten without problems. There are always exceptions to the rule and I’ve actually seen that happen in some cases, but at least in my experience, it is the exception and not the rule. There are also some other dietary antigens like eggs and dairy that seem to have more of a persistent effect over time even after gut healing takes place, less so in kids. I think kids can tend to outgrow these things and move on from them more so than adults. But with adults I don’t see as many people fully recovering their ability to tolerate eggs and dairy if they haven’t been able to tolerate them at all, although there are some shades of gray there. For example, if somebody is lactose intolerant rather than intolerant to the proteins and dairy, there are some studies that suggest that consuming fermented dairy can actually restore lactose tolerance, and I’ve seen that with some patients. I’m qualifying everything I say, which can be irritating, but that’s really how it is in clinical practice and working with patients. Everybody is different and everybody responds in a different way, and so it’s really hard to make general statements about this stuff without providing those qualifications. Stress, which I think is absolutely huge with autoimmune disease. I think it’s the elephant in the room that’s often not addressed despite the fact that there are many, many studies showing that stress is a common trigger across every single autoimmune disease that we know about, and I’ve just seen that be such a huge factor in all of my patients with autoimmune disease. Methylation issues, mitochondrial issues, etc. All of these things can trigger or exacerbate immune dysfunction, and some of these things can be explored and regulated without any testing, such as the sleep and stress management, physical activity, social support, but others will require some testing, particularly the gut issues, screening for environmental toxins and infections, methylation and mitochondrial issues. This, as you can gather, there’s quite a bit of work that goes into this, and in some cases it will probably need to be done with someone, a functional medicine specialist who knows how to do this kind of testing, and it can take months or even longer. This is why our conventional medical model, which is really geared towards single patient, single disease, single treatment and you’re done, it doesn’t really work that well in this world of complex chronic illness that we live in. This exploration will often take some time and often requires some testing, and in some cases, if you just remove all of the triggers and you address all these things that can exacerbate immune dysfunction, that will be enough to restore normal immune function. But in other cases, you have to go onto step two, which is taking specific actions to regulate and balance the immune system. This includes relatively simple things like optimizing vitamin D levels, optimizing glutathione status, optimizing short-chain fatty acid production, particularly butyrate, which has an immunoregulatory anti-inflammatory role, considering more advanced nutritional interventions like therapeutic fasting, which has been shown to have an immunoregulatory effect, and some really interesting recent studies by Dr. Walter Longo out of USC, using botanicals or nutraceuticals that play an immunoregulatory role, and even low doses of medication like low-dose naltrexone, which I have spoken about before for immune tolerance and regulation. These things can play a really vital role in helping to get the immune system back into that range of tolerance from where it’s easier to maintain itself in that range. What I can tell you is that when a more comprehensive two-step approach is used like that, removing the triggers and then taking specific actions to regulate the immune system, many people are eventually able to reintroduce foods successfully in their diet. But that said, some sensitivities in some foods often persist. Let’s take someone who is on AIP, and they have to be very strict, the most typical response that I see is after a comprehensive functional medicine protocol where we explore all of these triggers and we do things to regulate the immune system, maybe they’re able to start eating some dairy products and nightshades, but eggs just continue to be off the table, or maybe they’re able to tolerate eggs and nightshades but they just never recover their ability to eat dairy. Or let’s take someone who’s been on a low-fat diet to prevent recurrence of SIBO. Once we address the SIBO and then perhaps we find that they’ve got an underlying mercury toxicity that is probably was causing their SIBO to recur over and over again and we address the mercury toxicity and their SIBO kind of resolves once and for all, that person might typically be able to start eating FODMAPs in fruits. Maybe they’re fine with the higher fructose. Maybe they’re fine with sugar alcohols. Maybe they’re fine with most classes of FODMAPs, but they just never really recover an ability to eat a lot of onions and garlic, particularly raw onions, and those just still trigger them despite feeling better in every other way and having addressed all of the issues that have been identified. That’s just the lingering effect for that person. That is probably the most typical response. If we take a step back and think about this a little bit further, it leads us to interesting questions, which are: What is the goal of treatment? What is health? What are we actually hoping to achieve? In some cases, I see patients who quite understandably have a memory of what it was like to feel really really good, the last time they felt just perfect and had no complaints, and maybe this was in their early 20s or something like that and they really have it in their minds that they want to get back to that particular feeling and now they’re 35 or 40. The reality is, in many cases, it may not be possible to return to that exact feeling that somebody had 15 years ago or 20 years ago, the last time they remember feeling perfectly well because the body changes over time and there are some changes that we have considerable control over, and there are some changes that we have less control over, particularly if there was an infection or an accident or something that had a profound impact on the body. We know that many autoimmune diseases are triggered by viral infections or other infections, for example, and once that process of autoimmunity gets going, it can be managed very effectively without drugs, with diet and changes and this whole process that we’re talking about. But in many, if not most, cases, that doesn’t mean that the condition will be completely cured. That person may always produce some antibodies to whatever tissue they started producing them to, and if we remove the triggers and take specific steps to regulate the immune system, that person may be able to live symptom free or mostly symptom free, but they may never return to that feeling that they had prior to the infection and the autoimmune disease. They may never be able to eat some of the foods that they were able to eat prior to that infection or autoimmune disease, and they may reach a new level, a new place of balance in equilibrium and homeostasis that’s possible, given circumstances and the state of their body at that particular point in time rather than going back to some idea of our memory of the way things were 15 or 20 years ago. For me, this is a really interesting question. I’ve written about it before and talked about it before. What is health really? How do we define it? Do we define it as the absence of symptoms? That can be problematic as a definition, of course, because it’s the absence of symptoms when and in what circumstances. Is there an absence of symptoms when we eat whatever we want? Or does it mean an absence of symptoms when we eat a specific diet? Or does it mean an absence of symptoms when we mostly follow a specific diet but sometimes go off the reservation a little bit somewhere in between? It gets tricky if you use the absence of symptoms as a definition. I have long argued for a more inclusive definition of health that comes from Moshe Feldenkrais, who is the creator of the Feldenkrais Method that you might be familiar with. It’s a pretty amazing method of reprogramming the nervous system, body-based intervention, and his definition of health is the ability to live your dreams. I find that to be at the very least provocative and a great topic for discussion because it doesn’t refer to anything at all in terms of symptoms, energy levels, pain or anything like that, a lot of the things that most people would use to define health. It simply refers to the ability to live your dreams. When you think about it that way, someone that has perfect physical health, if that exists, it’s hard to even quantify what that would be, but if we think about it as a spectrum where on the left is perfect and on the right is death, maybe they’re closer to the perfect health side. But let’s say that person is miserable, they have terrible relationships, they are in a working a job that they hate and they’re just really unhappy in their life. Is that person healthy? Versus perhaps somebody who has an autoimmune disease maybe they have Hashimoto’s or rheumatoid arthritis and maybe they are on a fairly restricted diet, but they take really good care of themselves. They have really positive relationships. They are doing work that’s meaningful to them. Perhaps they’re helping other people with a similar condition to recover. They wake up feeling excited and happy to face the day, and sure, maybe there are times during the day where they don’t feel like they have quite as much energy as they would like to have, or they have some pain that flares up occasionally, especially if they’re exposed to foods they don’t typically eat, but overall they’re living a meaningful, rewarding, and fulfilling life. Who is healthy? Is that first person with that perfect physical health but everything else falling apart healthy? Or is that second person who has some physical challenges but still really living their dreams healthy? I think you know what my answer would be, but I encourage you to think of your own answer because the answer to the question “What is health?” really provides an important context and framework through which we interpret our experience. I think that is really important and something that’s often overlooked for anybody that’s dealing with chronic illness. How we hold ourselves in that place when we have chronic illness, whether we see ourselves as somebody that is fundamentally healthy but dealing with some physical challenges or whether we see ourselves as someone that is broken, sick, ill, and it is a person that has a chronic disease can really make all the difference in the world in terms of how we relate to ourselves and the world around us. I think it’s a very, very important thing to consider and look at for anybody that’s dealing with ongoing symptoms. Okay, so in summary here, I think elimination diets are often an important part of the treatment, but they’re often not the only important thing to look at. In my practice with patients, we go beyond and look at that two-step framework of removing triggers that provoke or exacerbate immune response and then taking specific steps to regulate the immune system if necessary after that. The other thing I want to mention before we finish is that I am definitely wary of too much dietary restriction for too long, and there are a few reasons for that. One big one concerns about nutrient deficiency. As I mentioned in the beginning of the show, I advocate eating the broadest diet within the Paleo type of template as possible because that will expose us to the widest range of nutrients and that’s very important, of course, for health. But there are also other issues that can happen with diet that’s really super-restricted, like social isolation, not having enough fun or play, not being able to go out and enjoy dinner or meals with friends. And as I mentioned earlier, that kind of stress and social isolation, I think, is a major factor in autoimmune disease and also just with chronic disease in general. I have many, many stories of patients with whom I have gone through the entire process, the functional medicine process, doing all the labs, doing the diet restriction, identifying and addressing triggers, regulating immune system. And ultimately, the thing that made the biggest difference for those patients was not any of what I just described but actually turning their attention to their social environment, actually loosening some of the restriction on their diet, making sure they’re spending more time with friends and getting support that they need, making sure they have more fun and pleasure in their lives, getting a regular massage, taking a hot bath walking on the beach, spending time in nature, developing some deeper friendships of people where they can share what’s going on in their life. A lot of times these things can seem less tangible. They can seem less important. We all kind of pay lip service and tend to think that more tangible things like taking supplements or medications or making dietary changes will have a bigger impact. But the reality is, when you look at the research, a lot of these less tangible things actually can have a greater impact on quality of life and even symptoms in people who are dealing with autoimmune disease, and I have definitely found that to be true in my work with patients, and this is a growing focus. I hope that was helpful, Mikaela, lots of information there. I hope you can make sense of that and it helps you and others who are listening in some way, and please do keep sending in your questions to chriskresser.com/podcastquestion. Even though I’m not able to answer all of them, they help me understand what you’re thinking and what you want to know about and they inform my ideas for blog posts in addition to podcasts and other content that we’re developing, so please do keep sending in your questions. Enjoy your weekend and I’ll talk to you soon. Take care. So I just have a couple of basic questions regaurding the 30 day reset. I am unsure what direction to follow because I suffer from anxiety/depression and have not been diagnosed with any autoimmune dysfunction but recently I have been suffering from joint pain and stiffness. I am hoping that I will be able to change this around with the reset. My question is, should I go ahead and avoid eggs and nightshades in the reset or since I was still under the score of 40 can I leave those in? I feel like specifically eggs have left me with symtoms that enhance anxiety and lack of focus but I am not sure. I am also wondering if kombucha is off limits for the reset because of the sugar? In the book it speaks about how fermented items are great and break down easily and improve gut health but I am not sure this is allowed in the reset. Also are there recepies specifically for the autoimmune paleo on the website? Second, since an operation on my brain (removal of left hippocampus) four years ago I have been in digestive hell from “in” right through to “out.” I have been reading book after book and find that, most of the time they seem to argue with each other. I’ve seen two specialists here in my town of Newmarket, Ontario (really good Mexican restaurant on Main Street that even made it on “You Gotta Eat Here” for anyone who ever finds themselves here) and, in the end, none of them really had any idea what to do about me. I’m trying to think of a way to sum this up as quickly as possible, so, forgive me if I leave anything out. I’ll gladly respond to any replies. After they removed part of my brain (don’t recommend that one) and sent me home with the instruction to be drinking more water (I was told I wasn’t drinking enough). I did what I was told. This is when things started to go crazy. First thing that occurred, without a lot of detail, is that the water began to solidify/expand/..I’ll leave it at that – what I was eating to the point where #2 literally was too large for my body and tore me open at the exit several times (I wish I was making this up) causing hospital visits, etc. I was eventually tested by a proctologist and his eventual answer was for me to live on some sort of Restoralax product.. I’ve been taking the damned powder for four years with no follow up granted, etc, for how to get off the stupid powder. Every time I try to stop/ween off, I re-damage myself (my family doctor believes due to the initial damage.. I honestly don’t know and am still waiting for another referral to check things out). Right around the same time I suddenly developed what appeared to be IBS and GERD. I’ve been living them now for four years. Sometimes worse than others. At the moment, I literally have some sort of reflux within moments of eating no matter what I eat or it’s pH level. It normally isn’t quite that immediate a response. I was sent to a gastro-doc here (four years ago).. he had no idea either – even after scope testing, etc. He suggested the FODMAP diet which didn’t really seem to help and was nearly impossible to follow. Eventually, I ended up back on a mixture of eating both in and out and have had it improve/worsen but never really go away. I always wake up with and awful taste in mouth or some sort of thick.. “bile, collection, I dunno.” I’m not going to say I have eaten well/perfectly by any means but continuously try to hold to keeping my health in mind. My most recent experiment was the book “The Acid Watcher Diet” by Jonathan Aviv (all over the internet, TV, etc). It seemed to help (I certainly lost weight as I was definitely overweight (at one point I was nearly 200 lbs and I’m only 5’7″ (most of it was attributed to medications I was having to experiment with due to misdiagnosed epilepsy (adult onset) that decided to kick in after I defeated cancer twice (osteosarcoma left femur.. again don’t recommend). I’m now down to about 165 lbs and am still trying to come down another 10 roughly so that I am actually a recommended weight again for my height, etc. The book seemed to make things both worse and better. Initially, things got WAY worse. I was doubled over in paid to go with the reflux (and I’m guessing IBS) as I increased my veggies, etc. Eventually, that settled down and noticed some improvement. I am back to trying to reset the “detox pH 5 or higher allowed only” and see if can settle things a little. I’ve been tested for H. pylori (negative – one more than one occassion including last month) and, actually my blood work looked great, according to my family doctor. I have been referred to yet another gastroenterologist in nearby Toronto but will likely be waiting for over a year until there’s an opening. And, I can’t keep this up. I end up with a gravelly voice all day – especially after eating (I seem to get a really bad reaction about 3-4 hours after I eat). I try to drink my water in between meals but still wonder if, even then, it’s affecting my ability to digest, acid levels, etc. Right now, as I sort of wrote earlier, I’m have some sort of reflux right up into my mouth (again sorry) that tastes pretty awful. I read advice on intake of things such as apple cider vinegar to increase stomach acidity, followed shortly by advice to avoid it like a plague. I keep the bottle with me but have been chicken in trying. Hell, the Acid Watcher tells you nothing by water allowed to heal – meanwhile – too much water especially at meal time is a BAD idea. Everything seems to contradict. So, I am reaching out for help. Heck, if the good doctor reads this and has advice, I would even gladly sign something waving him of any sort of tie with insurance, etc. Perhaps I am seeing things too basically (I’m am arts major with history and English on the side – NOT medicine). Can things really heal if the diet is keeping the pH so neutral (every thing pH 5 or higher) that the stomach cannot rebuild (or whatever it has to do) the proper acidity? I do understand the idea of things needing to re-heal. But, where to go from there IF things re-heal with following the 29 day plan. I mean, somehow I have to keep everything in the right spot in the first place. I’ve even noticed unprocessed/broken down foods in stool (sorry about that description as well.. they’ve been there since the powder taking began – sometimes none, others noticeable). I cannot get the testing done until the pre-mentioned referral goes through (someday). And, I am tired of reading a bevy of online pages, etc, that seem to cancel each other out. If this matters, I also currently take a small dose of clonazepam (0.5) twice daily and three pills of Dilantin for the epilepsy (latest experiment as initial meds tried in days before operation gave me MORE seizures). I have actually had conferences about me with Canadian neurologists. So far, this experiment has given me longer without the stupid complex-partials than I have had in over 7 years. My fingers are getting sore from keeping them crossed lol. The other reason I thought to write is that, well, the original article was now quite a few years ago and perhaps new things have been learned. I’m sorry if this was way too long or actually giving/sharing too much. I’ve been literally told to write a book by doctors, etc, due to my story (I really did leave a bunch out). If there were a doctor out there, at this point, I would gladly be a lab rat of sorts. I will lastly say that I’ve never taken antacids, etc, or the prescribed drugs mentioned in the original articles. I hate medications and already live on two. I will shut up now. I hope all is well. This article contains some good information, but I want to share something that was GROUND BREAKING in my crohn’s disease treatment. It is called the MRT test, which is a blood test that tests your reactivity to 120 foods and 30 chemicals. I’ve tried about 5 different ‘elimination diets’, the latest one being a Whole 30 challenge that made my symptoms so bad that I started having panic attacks. Come to find out, all of the foods that I thought were ‘safe’ (such as olive oil, honey, lemon, beef, pork, and berries) were all foods I was reacting too!!!! Since following an elimination diet consisting of foods I don’t react to, my symptoms are subsiding and I’m FINALLY feeling better! I have been trying to figure out some skin conditions, so I had a long phase of a restrictive AIP diet and feeling like everything was causing the problem. I was spending so much money on the naturopath & supplements that I didn’t have any money to hang out with friends and do fun things. My skin problems got worse and worse, to the point where looking in the mirror almost made me cry. My stress was insane. I finally threw in the towel and decided to just live with it. And what do you know, my skin cleared up a bit, just getting rid of that stress. So now I avoid foods that I know for sure are problematic (nightshades, dairy) and that’s about it. The stress and social isolation of a full autoimmune diet isn’t worth it to me. It’s not hard to see why liver is considered a nutritional powerhouse — liver fills nutrition gaps more completely than either other food. A whole food, nutrient dense diet provides nose-to-tail nourishment so that we can express the strongest, healthiest and happiest version of ourselves… Food forms the basis of our health but as Chris points to… there’s so much more than can be done. Our biology is truly remarkable as it relates to our ability to heal… we just need to create the right environment for healing to take place. Bruce Lipton’s work regarding The Biology Of Belief demonstrates that we are indeed the architects of our experience. We can, and we do, create cell signals (perceptions) with our thoughts. So stay positive… think about the wonderful things in your life that you’re grateful for… eat like our early ancestors did… move around like our ancestors did… slow down… go barefoot, connect to the earth… get sensible sun exposure… sleep like a rock… keep stress in check… and don’t forget to breathe. Thank You. I am seeing a functional medicine doctor. This is a new relationship and after following your blog for years I still rely on you to fill in the blanks. You always leave me hopeful. I’m one of those people who has been sick for over 30 years. I have celiac disease, SIBO, leaky gut, fibromyalgia, chronic fatigue syndrome, osteoporosis and multiple other issues. When asked by my doctor what my health goals are my answer: To regain a quality of life. To be able to enjoy life not just endure it. Sure I would love to eat pizza. I would much rather be able to take a vacation and not be terrified of eating anything away from home. I would love to feel well enough to spend time making friends and building a social network. Relationships have disappeared because people stop asking when you frequently say “sorry, I’m not feeling well.” Or “I can’t eat in restaurants.” They don’t even try to invite you to their homes. They believe you’re just making excuses. It’s very difficult not to become completely isolated. Quality of life…. How do you know that turning their attention to their social environment is causing the improvement, not just correlated with improvement? Sickness behavior in animals is to go be alone. Why would it be any different in humans? This was a very timely article and I really appreciate your definition of health- living your dream. Having some sort of alternating symptoms almost daily, living my dream allows me to focus on what makes me feel good/alive instead of what I’m struggling with. This is great food for thought and I like the diversion!! What do you feel about one glass of red wine (best quality) for a client who uses LDN (2.25mg) after 9p.m.? Wine is with a full dinner, LDN is 2-4 hours later. So much research points to the mind body connection and how your mind can cause measurable changes in your body without other inputs but actions in our body can change our minds and help reverse old patterns as well as with Feldenkrais. I met a functional medicine doc that actually made my condition worse through all the black and white thinking she was throwing my way…. I was literally terrified after my year working with her. I have seen Chris even grow in his approach which seemed a little more stringent in the past but has now softened. It seems the best holistic practitioners get there with time and experience. Thanks Chris Kresser, for the informative article. I like “other things that could trigger and exacerbate an immune response” and “the ability to live your dreams” the most. At least after reading this article should concentrate on their healthy diet and adequate rest for better healthy life style.